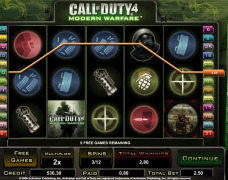 Party Slots "Call of duty"
Board Babe is sure to provide a great time both for recreational penny players as well as die-hard casino high rollers. Bets on this machine range from $0.01 to $450, and it has everything a good slots player needs: it has a wild symbol, which is only present on reels one and five, and which substitutes all other symbols except the scattered snowflake. There are five reels on this machine, and 9 paylines. A side-game makes sure you never get bored. The Bust da Safe machine is one of the ‘big guns’ in Party Casino’s arsenal. It has 20 paylines, 5 reels, and get this: bets can be made from $0.01 up to a whooping $1,000. It features a wild symbol too, the ‘Bust Da Safe’ one, which is present on all reels, but only substitutes the gold bar and the gold bag symbols. The Cool Bananas machine features a lot smaller maximum bet ($90) but it is every bit as good as any of the machines, for those gamblers who are not insanely rich. It has a side-game too, which offers players prizes on top of what they win on the game itself. The Mighty Monkey symbol is wild. Present on reels 2-3-4, it acts as a bug for everything except the scattered banana. Fruit Party is another possible high-roller destination. It too features bets from $0.01 to $1,000, 5 reels and 20 paylines. The Fruit Party symbol is the bug here. It is there on all reels and it is a substitute for all symbols except 2: the lemon and the gift box. Don’t forget to check the paytable for paylines. Goanna Gold is another $90 max. bet slot machine, with 5 reels and 9 paylines. Feel free to test-run this game in play-money mode: it acts exactly the same as in real-money play. It has a side-game which offers additional prizes, and it has a wild symbol: the Goanna. This symbol is a substitute for all others, except the scattered nugget. Choose “autospin” to free your hands up if you wish to. Golden Eagle is a mini-slots machine. 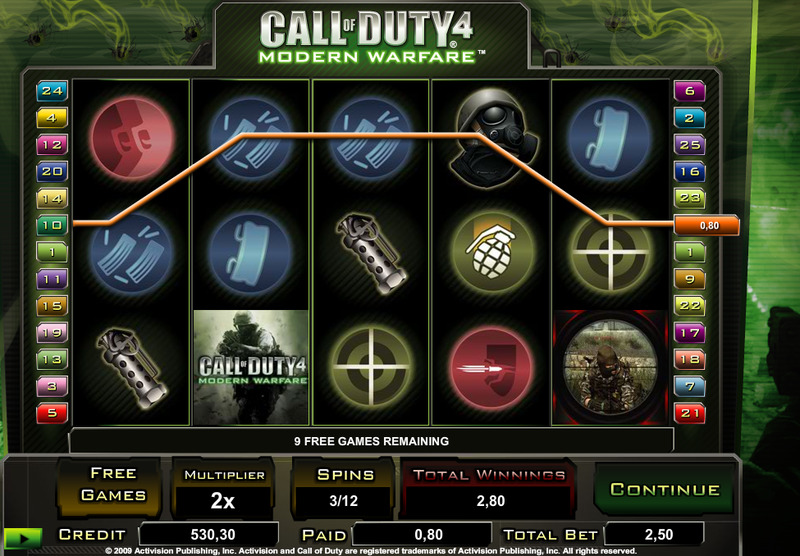 It features three reels only, and bets can range from the usual $0.01 minimum to a maximum of $10. There is just one pay-line, and a wild symbol (the eagle) which can be substituted to all other symbols in a winning line. The game is gleefully simple, can be tested in play-money mode, and has all the features (like auto-spin) other slot machines have. The Golden Gopher is another three-reeler, but it features better expected value than the Golden Eagle because it has no less than 5 paylines. You might think it has no wild symbol to even the odds, but it has one: the Gopher substitutes all other symbols in a winning line. Maximum bets can be as high as $50. If you have a taste for the macabre, the Graveyard Bash is for you. If you possess a generous bankroll, you’re going to like it even more, because the maximum bets on this five-reel baby can be as high as $1,000. There are 20 paylines featured, a bonus round and a feature game to spice things up. 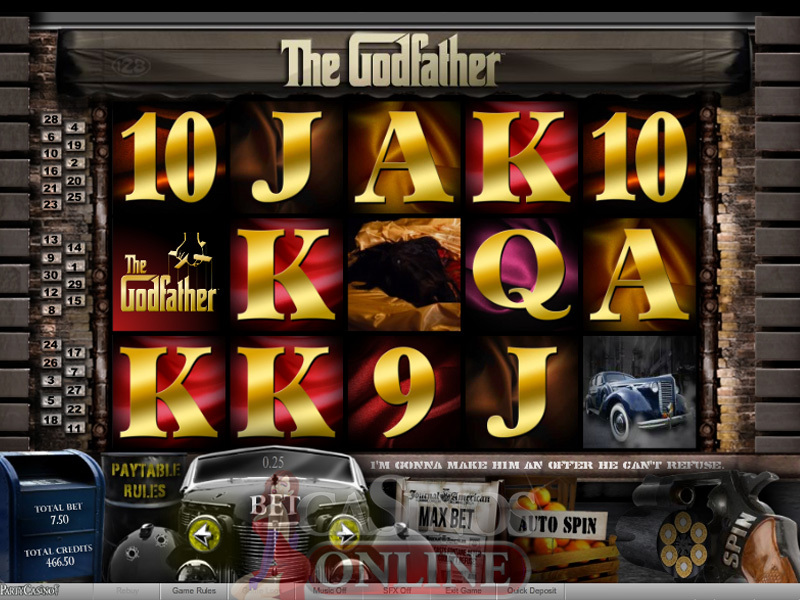 The Hot Roller is also a 5–reel slot machine, with 9 paylines. It has a feature game, offering prizes above the ones won on the regular game, The Dice symbol is wild, and acts as a bug for all symbols except the scattered Casino. The maximum bet on this game is $450, starting from a minimum of $0.01. King Tut’s Fortune is a true bonanza of prizes and of high stakes slots play. Bets start from as little as $0.01 up to $1,000. There are 5 reels and 20 paylines featured. There are two side-games: King Tut’s Bonus and the Free Spin one. 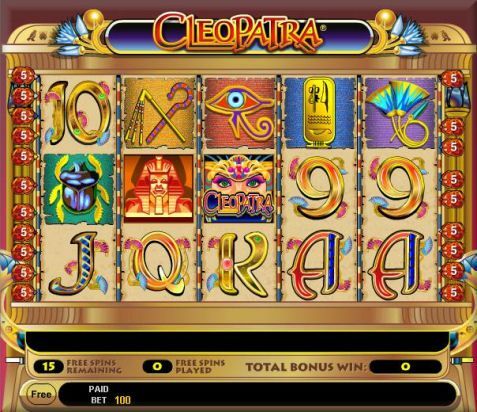 As you may have grown to expect from Party Casino, this slot machine features a wild symbol too, to increase the odds for the player: The King Tut’s Fortune symbol is featured on all reels and is wild for the Lady and the Ace symbols. Try the 5-reel, 9 payline Magic Man out in play money mode, and if it catches your fancy, move on to real money: the rules are the same. The machine features a sidegame, (prizes won on it come on top of regular winnings), and a wild symbol, which is the Magician, and which is a bug for all symbols except the scattered rabbit. Bets on the Magic Man can go as high as $450. The Metropolis is game for low-stakes players, or for beginners. 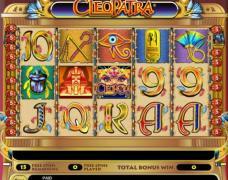 It’s a simple little 3 reel slot machine with a single payline. There are no intricate paytables to make heads and tails of here. The minimum bet is $0.01, the maximum bet is $10. The Girl symbol is wild, it is featured on every reel and it acts as a bug for all other symbols. If you like army-related things, the Piggy Payback might be the right slot machine for you. It is a 5-reel, 9 payline game, with a wild symbol: the Pig. The Pig is present on reels no 1-3-5, and it substitutes all symbols, except for the Tank one. The maximum bet on Piggy Payback is $90. Set the “Auto-spin” feature to “spin till win” to have it stopped as soon as you hit a winning line. Another machine on which the bets range from $0.01 to $450 is the Predator. An African wildlife-themed machine, the Predator is a 5-reel, 9 payline game which has a “feature” game that pays additional prizes to winners. It also has a wild symbol, the Lioness, which can be substituted to all other symbols except for the Savannah one. Bet 1 line or bet all 9 of them to increase your odds. The Shipwreck is a good slot-machine for high rollers. Huge amounts of money can be turned over on this baby as the maximum bet on it is $1,000. 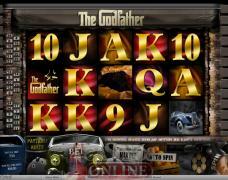 It is a 5-reel slot machine with no fewer than 20 paylines. Check out the paytable to make sure you understand what the paylines are and what you’re getting yourself into. The Ship symbol acts as a bug, and it appears on reels 2-3-4. It replaces every symbol in a winning line, except the diving helmet. Silver City is a 5–reel machine featuring 9 paylines. Before you start spinning, make sure you select your paylines. You can select 1-9 lines, the ones selected light up, the unselected ones remain dark. The maximum bet you can place is $450. The wild symbol is the Actress, and it replaces all symbols except for the scattered Stars. Fancy going on an underwater treasure-hunt? Party Casino Slots: Treasures of the Deep slot machine will take you there, and you won’t even have to leave the coziness of your favorite armchair behind. This one is a 5 reel slot machine with 9 paylines. There is a featured side-game as well as a wild symbol: the Helmet which acts as a bug for all other symbols, without exception. The maximum bet is $90. Register your personal details in the Party Cashier. Money will automatically be transferred into your player account in the bonus section to play for real. Money will stay in your player account only for 15 days. You need to make a minimum deposit if you want to cash out your winnings. The minimum deposit is $25.